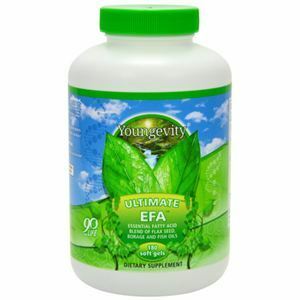 A proprietary blend of essential fatty acids from borage, fax and fish oils. Used as part of a healthy diet, essential fatty acids may support the body in many ways, especially cardiovascular health. Ultimate™ EFA™ is 100% organic and features a proprietary blend of essential fatty acids derived organically grown flaxseed oil, herbicide- and pesticide-free borage oil, and fish oil. 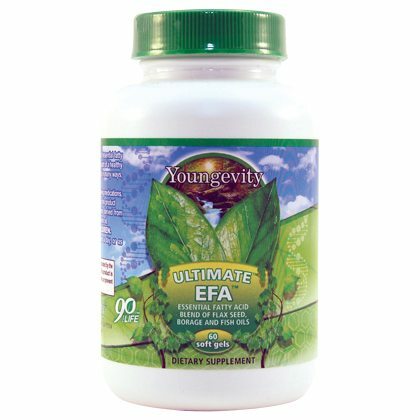 Delivering a healthy balance of Omega 3, 6, and 9s, Ultimate™ EFA™ is a must-have for people who want to derive the benefits of a full range of essential fatty acids–organically. For best results, use Ultimate™ EFA™ as part of a full nutritional program that includes Majestic Earth® Classic®. DIRECTIONS: Take 1 softgel two times a day or as directed by your healthcare professional. WARNING: If you are pregnant or nursing consult with your healthcare professional before taking this product. KEEP OUT OF THE REACH OF CHILDREN. DIRECTIONS: Take 2 softgels three times a day or as directed by your healthcare professional. WARNING: If you are pregnant or nursing consult with your healthcare professional before taking this product. KEEP OUT OF THE REACH OF CHILDREN.